Today more than ever, companies are turning to A2P (application-to-person) messaging to reach and engage with a target audience. Why? This is because A2P messaging has proved time and again to be a fast, secure, cost-effective and reliable way of communication. Also, the majority of consumers today depend more on mobile devices to function in their daily lives and its imperative for companies to evolve as well from desktop to mobile strategies. How does it work? For those not familiar, A2P messaging essentially is communication initiated from an application. This typically involves automated content that an organization or business sends from their application to a subscriber via a text message. A2P is most commonly used for confirmations, alerts, marketing campaigns, and two-factor authentication (2FA) across multiple industries. Personalization of content of SMS; messages content should always be designed to suit the target customers otherwise communication loses its meaning. A2P messaging for business enables this, because it provides a tailored experience for customers. Two-Factor Authentication; or 2FA, is a security method that verifies identity using a password sent to a user’s mobile phone. Customers are able to reply to messages in a safe, secure and efficient way like when agreeing to a transaction on a personal account. Such interaction is a great way for a business to learn more about customers and what they expect from the business. 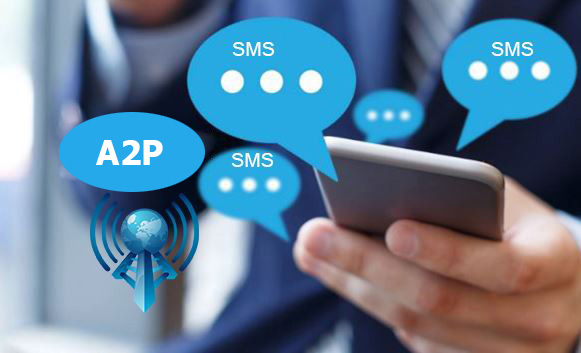 A2P SMS has become how businesses best reach their customers, and given that customer support is still an ongoing challenge especially because customers want to engage with businesses in real time, bulk A2P SMS messaging can do wonders for your business and brand. Depending on what kind of marketing message you want to put across either to a small or large group of people, messaging channels have quickly become the most preferred and effective approach to reach customers in moments that matter. So, if you’re interested and plan on capitalizing on A2P SMS for your business to enhance communications with your customers, why not sign up for a free Bongo Live account here www.bongolive.co.tz We will be happy to help you find out the various ways you can integrate A2P with your business.